Regula r readers of this blog will know that I’m a big fan of Jan Costin Wagner. I read his first book, Ice Moon, back in 2006 when it was first translated into English. Since then, the books have slowly been slowly trickling through, each one eagerly awaited by me. I was lucky enough to meet the author at the CWA Crime Writing Festival in July and discuss his writing with him. There is strong sense of development in the series. The first book opens with the death of Sanna, the wife of police detective Kimmo Joentaa. It sets the tone for the rest of the books: sad, reflective and sometimes utterly bleak. By the end of The Winter of the Lions, Kimmo has entered into a relationship with a prostitute, who he only knows by her assumed name, Larissa. This provides the starting point for the fourth book in the series, Light in a Dark House. Kimmo is called to investigate the case of a woman in a coma who has been killed while the murderer wept over the body. It triggers a series of murders which have their roots in the brutal assault in a teenage girl in the 1980s. Kimmo tries to unravel the case while fruitlessly e-mailing his girlfriend who has left home following an awkward meeting with his boss at his party. But Larissa’s experience as a prostitute is also giving her insight into the violent motives behind the murder. The book, for me, lived up to my expectations largely I suspect because Costin Wagner doesn’t churn out his novels. Instead, we’re getting a slow but reflective series that deals with some of the potent issues in Finnish society – in this book it’s the violence against women. The descriptions of Finland are divine and it is here that the German author’s view from outside of the culture is so interesting. The relationship between Kimmo and Larissa does get a little wearying at times. I found that the detective’s obsession with the enigmatic prostitute was allowed to dominate the narrative in some sections but then Costin Wagner’s books have always been more about relationships than simply a straightforward murder plot. 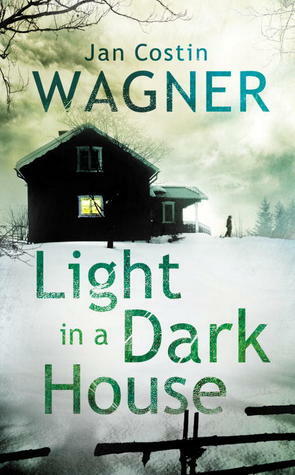 I hope that Light in a Dark House introduces new fans to this wonderful writer. I suspect his books won’t be for everyone. There’s nothing warm or cosy about either the content or the style of his books. But, for me, he’s one of the best. Sarah – An excellent review as ever, for which thanks. I have to confess I’ve not read as much of Costin Wagner as you have, but what I’ve read, I’ve liked. One of the things that I like is his writing style. It’s atmospheric without being ‘heavy’ if I can put it that way, and that’s not easy to achieve. Thanks Margot. The writing isn’t heavy at all and yet it is conveys a raft of meaning. Sounds very interesting, Sarah. Another one for my wish list. And (because I’ve become very aware of them recently) the book’s cover is outstanding. Thanks Janet. And yes, the cover is great. I read this a little while ago (my first by Costin Wagner), and I enjoyed it very much. Thanks for putting this author on my radar, Sarah. My pleasure, Rebecca. And interesting that you feel you can start with this book. Glad you liked it. Good to see your review. 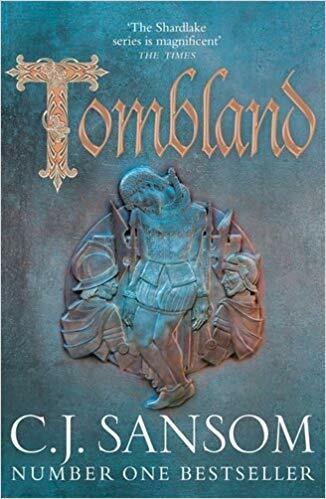 I had seen this book and considered whether I would want to read it or not, but I think I should start at the beginning, and proceed on if I like that one. Thanks Tracy. Yes, the first book is representative ofthe whole series. I suspect if you don’t like it, the series isn’t for you. I do like a bleak crime novel; balancing the moral ambiguities and the need for resolution — that takes real skill. I should start this series at the beginning. I would Vicki. Ice Moon, I think, is my favourite of them all. Sarah, I will probably pass on the basis of too many books, though I’m unsure if I have sampled Finnish crime or have any on the pile………..maybe just one of the 4 then! I’d recommend starting at the beginning, Col. I hope I’ve persuaded you….. Thanks for this lovely review, Sarah. I’m a big fan of JCW also and can’t wait to get my hands on this one. The cover is great! The book sounds great too.